Image by Margot Krebs Neale. Words by Malcolm Guite. 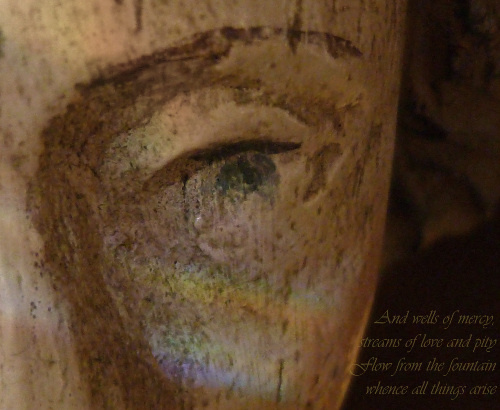 Flow from the fountain whence all things arise. Excerpt from a poem by Malcolm Guite. Some weeks have gone by since I wrote my previous reflection on this subject and I need to admit a certain defeat. I was hoping I might have some insights by now as to the way ahead for us, clergy and lay people alike, but the well remains dry. There seems to be no moisture, not even mud… although as I write these words mud has some resonance. Do you feel like you are trudging through mud? I do. Yet I am grateful that I have not lost hope. I believe there is an answer to power… the misuse of power and the holding onto power, the bowing to power and the cowering to power. There will be a great cost to us in not only finding that answer but also in then courageously following thorough. The structures must fall and even as we utter these words I wonder if there are some of us who will hold rigidly and defensively to “the way things have always been”. Priests and bishops in particular will need to be ready for some very, very painful confrontations. I know some very wonderful Christ like priests, many of them from the immediate post Vatican II era, who are broken, battered and shattered by the clerical culture that suffocates, strangles and smothers the breath of the Holy Spirit. Truly I am in awe of their humility, their gentleness, their courage to keep going in spite of everything. Christ I am sure still weeps for them. those of us who stay and hope. 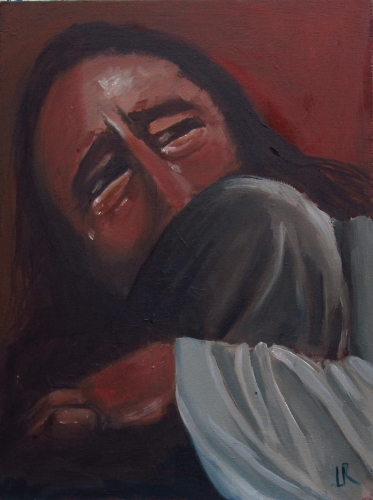 He weeps for all of us. Perhaps for now we simply weep, and wait with him.